Ventipop Blog 20 THINGS ABOUT LEGOS / VENTI SHOTS ISSUE No. 134 Become a Patron! Lego was founded 84 years ago in Denmark by Ole Kirk Christiansen. Christiansen, a carpenter by trade, had lost his job in the depression and started making wooden toys. His wife died in 1932 and Ole was left to raise 4 boys on his own. He made a wooden duck for them out of leftover materials in his wood shop. His boys loved them so he began mass producing them. It wasn't until after a fire in 1942, The Lego Group began experimenting with plastic toys. By 1949, Lego had over 200 plastic and wooden toys in production. Christiansen came up with LEGO from the Danish words leg godt meaning "play well". The word "lego" also means "I put together" in Latin and "I connect" or "I tie" in Italian. In early 2015, The Lego Group surpassed Mattel as the highest grossing toy company in the world. Why Legos are the best toys ever (for Adults too). Don't be a Lego Rook and ask for a block when you really want a tile! Learn the difference between a BURP, chima and LUG in The Little Lego Lexicon. Childless Lego fans in Melbourne want to play too. Adult fans of Lego, or AFOL (Yip, they even have their own acronym) are out to prove Legos can become a career. Always Naysayers. Some say adults must stop playing with Legos...now! In January 2017, Lego launched a social network for kids under 13 called Lego Life. The Biggest Lego Ever? How about a 23-Ton X-Wing Star Wars Fighter. Lego Italia built the world's tallest Lego Tower in 2015. Imagine waking up to find out you are now the proud owner of 2-Tons of Legos. What do you want to be when you grow up? You should have answered, "Lego Master Builder". Lego Art: 40 Designs that will blow your mind. Once your kid stops eating them, Legos can really them smarter. Get Inspired! 21 DIY Lego Crafts. 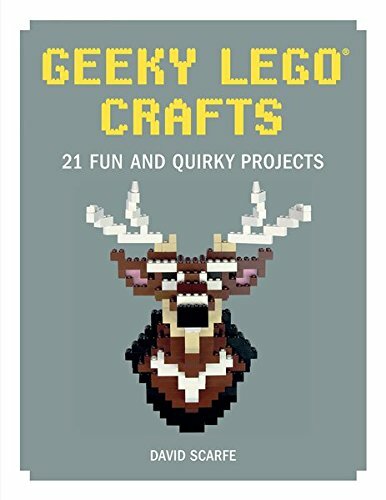 21 Geeky Lego Projects Book. Donate Legos to Play Well Africa. Life Lessons with Legos...teaching Karma to a 3 1/2 year old with a Legos analogy. Teach the alphabet with Lego Duplo Blocks. 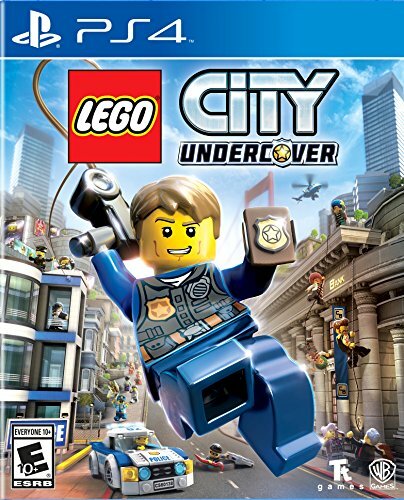 Gamespot proclaims Lego City Undercover is fun in it's purest essence. Lego Portraits are also fun...and somehow calming.